With the kind of weather that we have in Malaysia, it’s quite inevitable to face the dark truth about having bright, sunny days --- skin darkening and pigmentation. Don’t get me wrong; it’s not ‘dark skin’ per se that I’m worried about. I believe that every woman is beautiful in her own skin, no matter what color. It’s those dark spots and discolourations that I’m concerned with. Sun exposure and aging can cause uneven pigmentation and unsightly spots on our body and, worse, on our face. 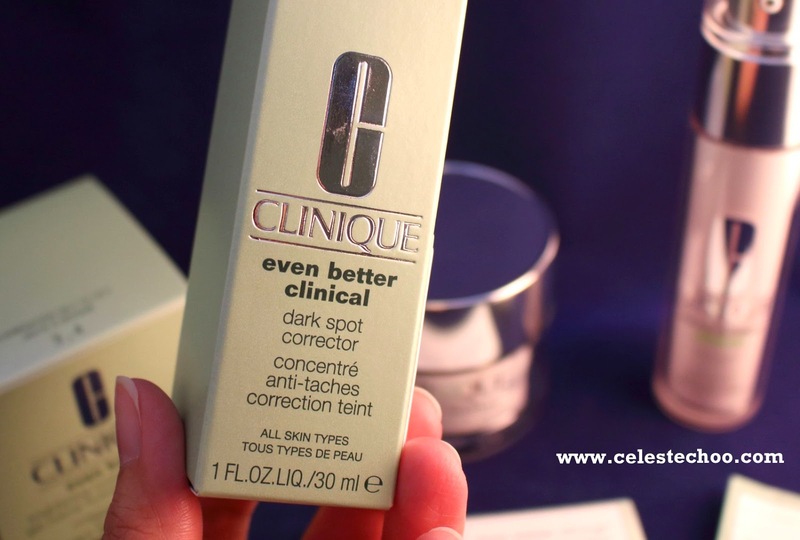 I recently hunted for a product with dark spot correcting properties as I’ve developed some spots on my cheeks. It might have been there for some time now but it has become noticeable and I’m on ‘panic’ mode. And I think it’s about time I try a brand or product that has some strong clinical background. 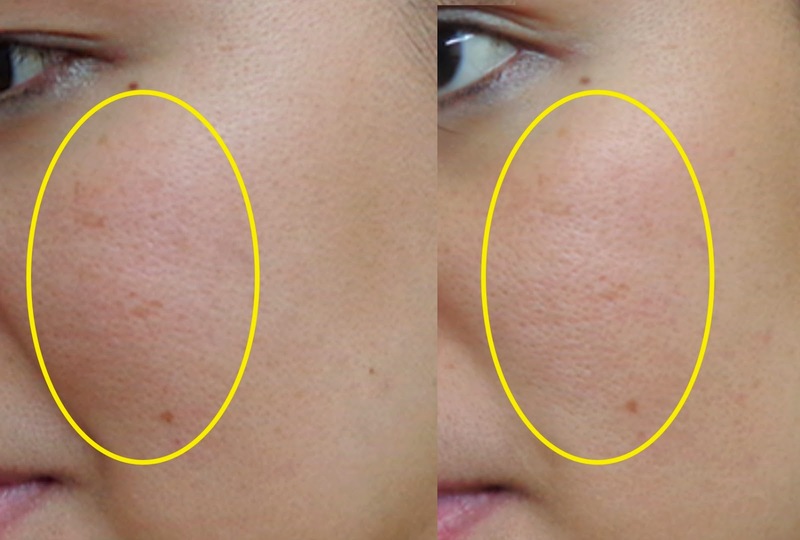 After all, it takes good science to combat and repair pigmentation. So I decided to try Clinique for the first time. 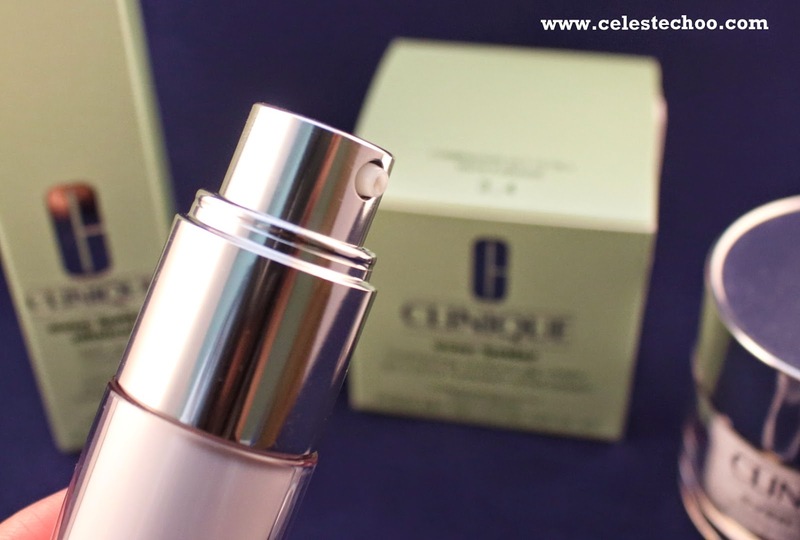 The Clinique Even Better Clinical Dark Spot Corrector (RM245 for 30mL) is packed in a light green box with the logo in silver stamp. The cap has a silver seal to ensure that you purchased a new, unopened product. 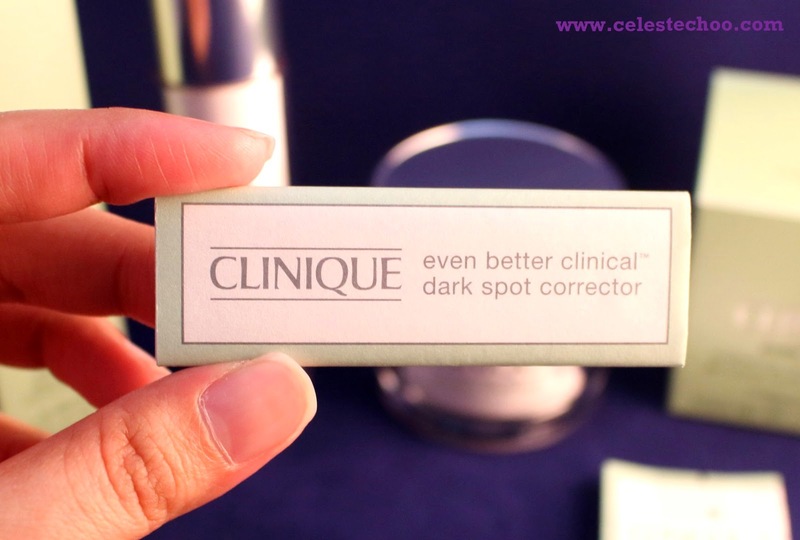 The dark spot corrector is dispensed from the bottle with a fine pump. It works well to dispense just the right amount to apply on the face. 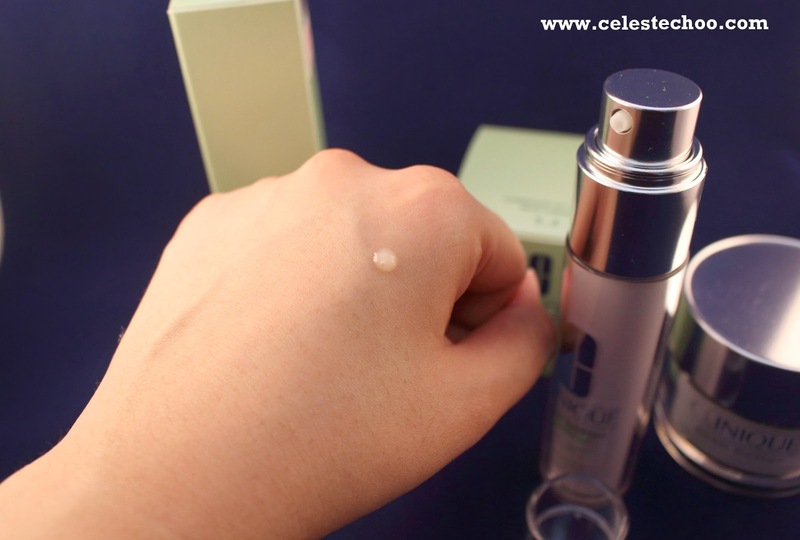 The dark spot corrector is a light, white translucent gel that is easily absorbed by the skin. Because it is 100% fragrance free, don’t expect any scent, just clean and simple on your face. Although I enjoy skincare products that have mild, pleasant scent, I don’t mind it being fragrance-free. 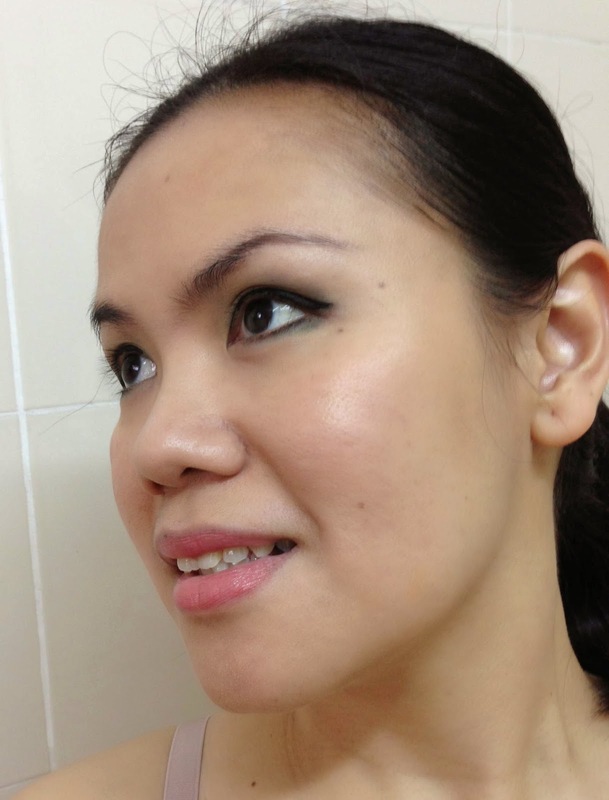 It is meant to be suitable for those with sensitivity to whitening or evening products. Meet the damage eraser. Clinical studies confirm that its patented formula with CL-302 Complex dramatically helps reverse the appearance of dark spots, age spots, skin stresses and darkening from blemish marks, starting in 4 weeks. What improvement can you expect and when will you see it? Lots of variables affect how quickly you’ll start to see results --- degree of pigmentation, medications, stress and UV exposure all play a part. Generally, it takes 4 weeks of twice daily use to see measurable results. Be patient. Twice daily, cleanse, gently exfoliate, then apply the dose from 2 pumps all over the face. Apply a moisturizer. Daily sunscreen of SPF15/ PA++ or higher is imperative. Life after opening is 24 months. As I mentioned before, no single product can work alone. Skincare products work with other products in our entire skincare regimen. 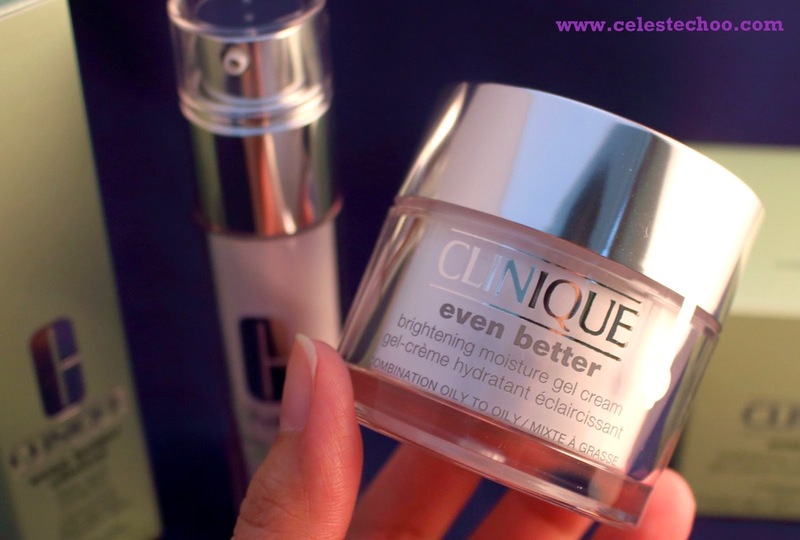 To maximize the result for brightening my dark spots, I also got the Clinique Even Better Brightening Moisture Gel Cream. 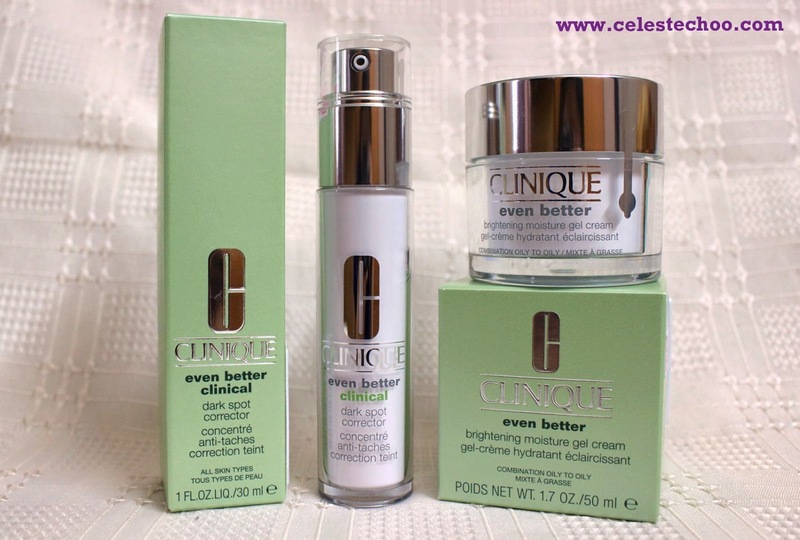 Like the dark spot corrector, Clinique Even Better Brightening Moisture Gel Cream (RM175 for 50mL) is packed in a light green box with the logo in silver stamp. The cap also has a silver seal to ensure that you purchased a new, unopened product. The moisture gel cream jar has a secondary cover to preserve the cream from dust and other elements when you open it. 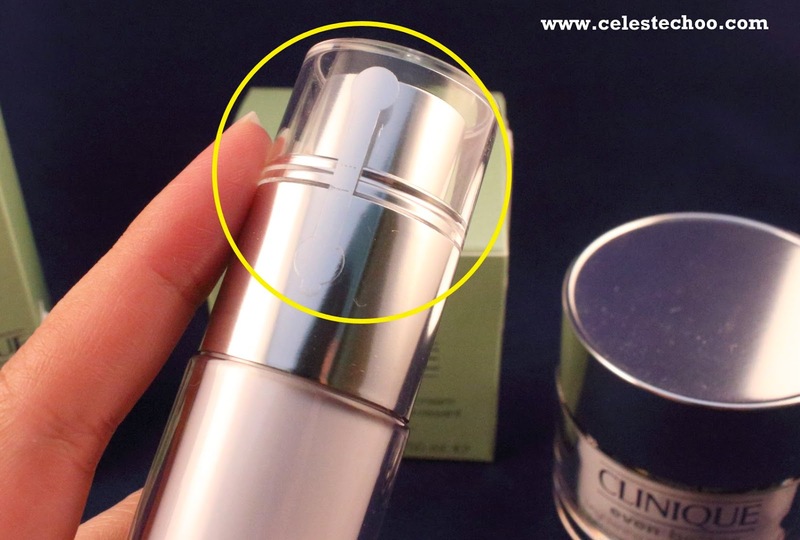 The white plastic cover is embossed with Clinique logo and has a small finger handle for easy opening. 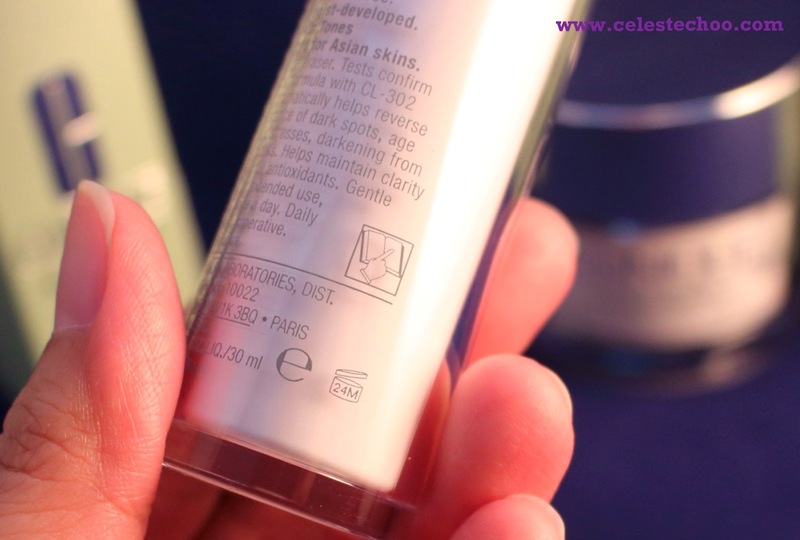 The gel cream is a white, light texture that easily blends on the skin and does not leave a sticky feeling. It is also 100% fragrance free, allergy tested and formulated for Asian skins. 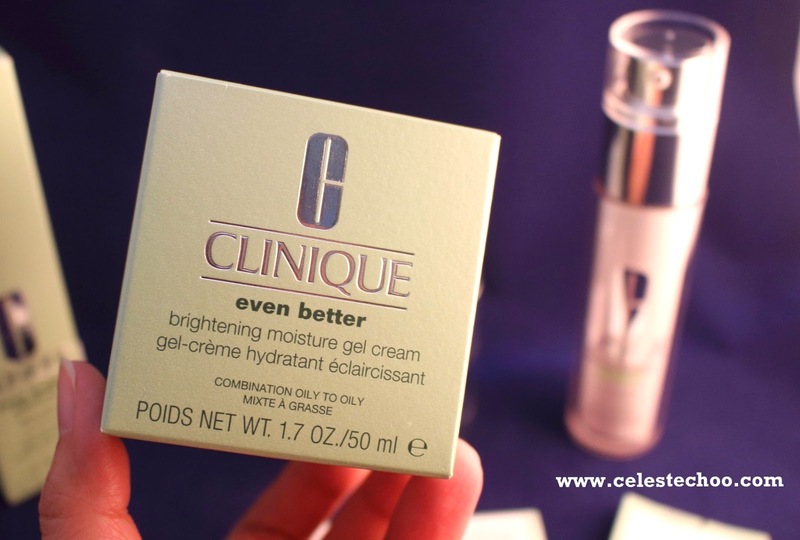 This gel cream feels great on the face and blends well with my daily sunblock. 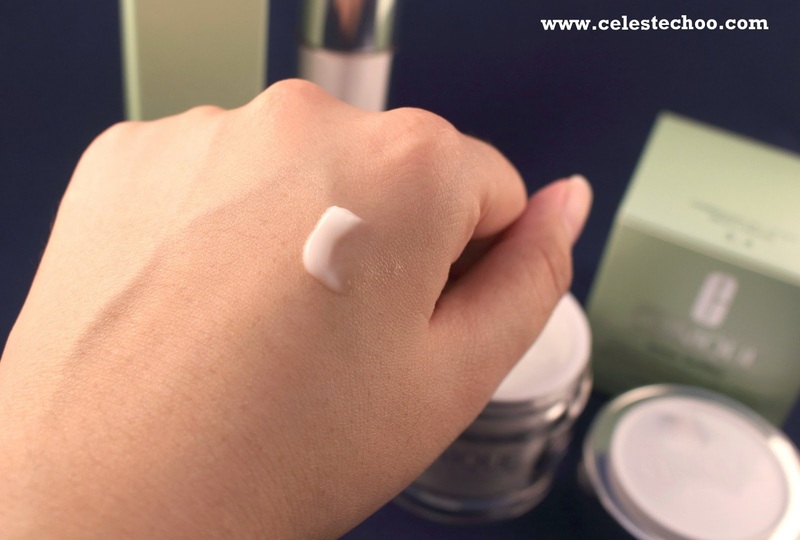 Some whitening products can be too harsh, specially when applied on the neck, but this Clinique Brightening Gel is also suitable on my neck. Oil-free brightening gel cream supplies refreshing, all-day hydration for oilier skins. It is formulated to be a year-round source of refreshing all-day hydration. It helps visibly reduce dark spots and discolourations, bringing new clarity to the skin. Skin-fortifying ingredients help strengthen skin’s resistance to future darkening. Twice daily, cleanse, gently exfoliate, apply toner then serum/ spot corrector. Apply the brightening moisturizer all over the face. Daily sunscreen of SPF15/ PA++ or higher is imperative. The ultimate question...DOES CLINIQUE WORK FOR ME? I know that the Clinique Dark Spot Corrector needs at least 4 weeks to see results on dark spots but I wanted to check my spot improvement in as early as 2 weeks. I am patient but I am also excited. It is a small improvement but there was improvement in 14 days! So, YES, Clinique products are working on my skin. Take note that I am using the dark spot corrector and brightening cream together with a sunblock product. Let's start fighting those dark spots!